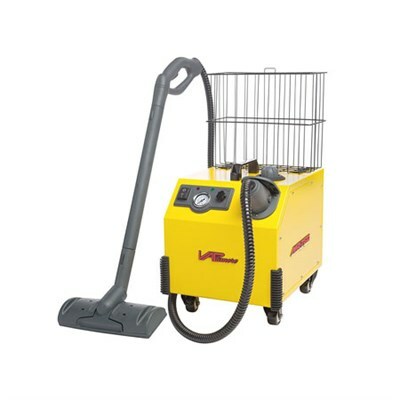 The MR-750 Ottimo is the ultimate in steam cleaning for heavy-duty home use or light-duty commercial use. Don't let the small size fool you ? like its big brother the MR-1000 Forza, the Ottimo is designed to be used in extreme-duty residential and entry-level commercial applications. Designed to fill the gap between light-duty residential and heavy-duty commercial machines, the Ottimo packs all the features you need into a small lightweight machine. Lightweight, easy to move and easy to store, the Ottimo utilizes a powerful 75 psi max steam pressure and the largest boiler tank available. The Ottimo features a working time of up to 3 hours on a single tank, ensuring the Ottimo can handle any job.